This subtle bouquet of bronze coloured spices that peps up savoury as well as sweet dishes, is used all the way from the West Indies to Asia and it passes through Africa and of course, India. It is a mixture that can contain anywhere between five to 30 different spices, but it is most usually made up of 10 to 15. The mandatory spices are cinnamon, cardamom, coriander, clove, turmeric, ginger, nutmeg and pepper. 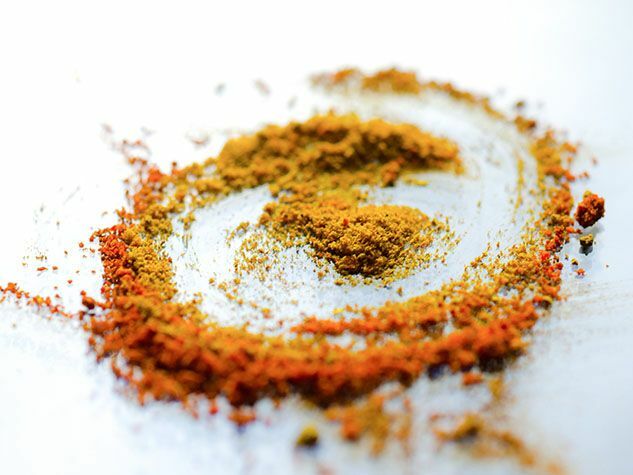 Select a finely textured curry powder that gives off a rich and pleasant aroma and has a soft flavour. If need be, you can enhance it by adding ginger, fresh pepper or other spices. Curry can be preserved in an airtight container in a cool dry place for around six months maximum. To enjoy its full aroma, heat it in some fatty substance before adding it to your sauce or dish. Originally published in the Journal de Montréal on January 20, 2007.